Our OE Factory style Cut To Fit Custom design Upper Side Stripes we call the PIKE looks great and is in stock! Designed to fit along the upper body line of your Chevy Camaro door and fender. This kit is made for an easy installation with NO cutting on the car. 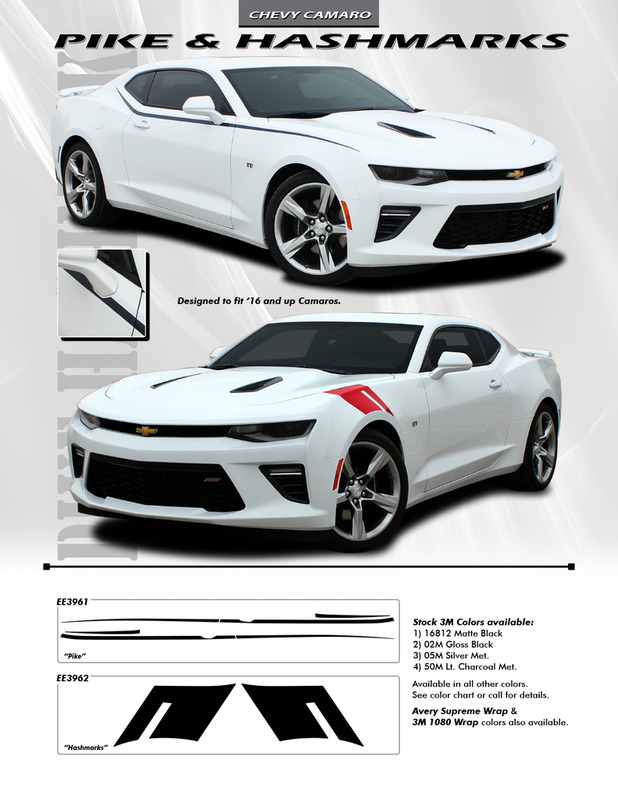 RAT has Chevy Camaro Upper Stripes PIKE 3M 2016-2018 Camaro Stripes, Camaro Decals, Camaro Racing Stripes, Camaro Vinyl Graphics, Camaro Rally Stripes. YouTube Video for Tips and Tricks for Installing 3M WET INSTALL Stripe Packages.